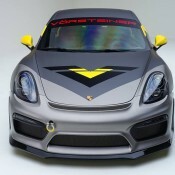 There is a strong motorsport flavor in pretty much everything American tuner Vorsteiner does, especially the Aero packages they make for sports cars. 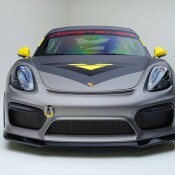 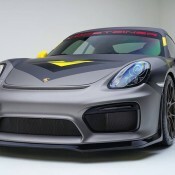 This new Vorsteiner Porsche GT4 benefits from a package called V-CS Aero which results in a racing car look and feel. 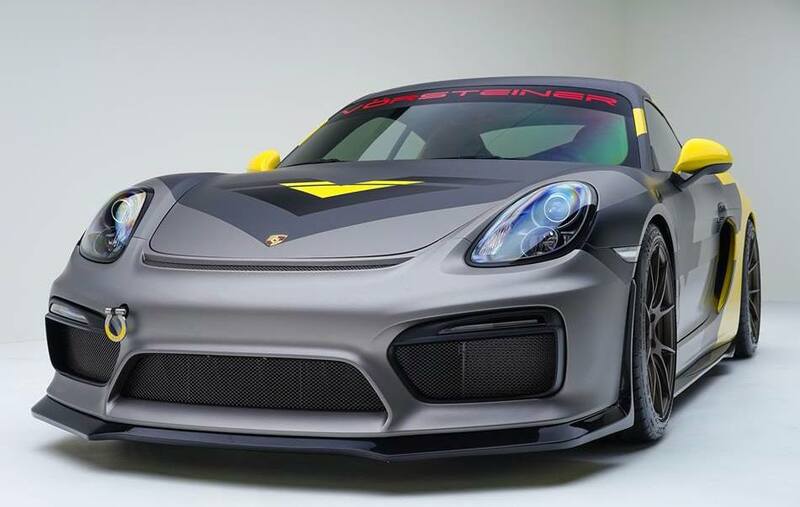 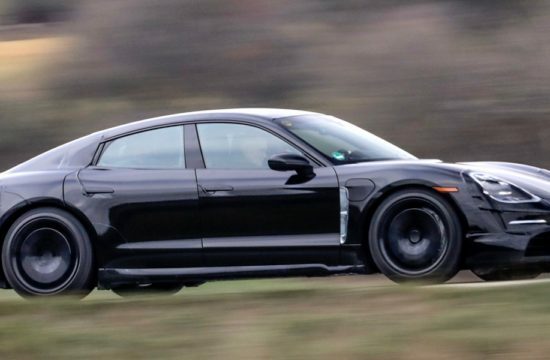 So yes, the motorsport connection with this Vorsteiner Porsche Cayman GT4 is just off the hook. 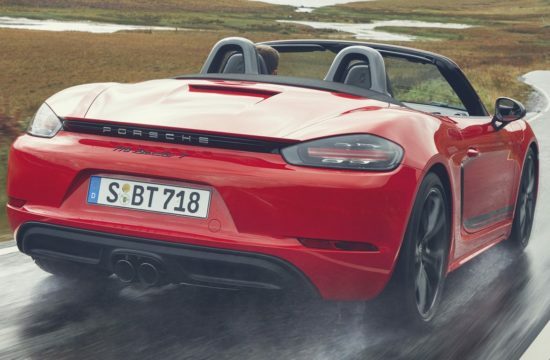 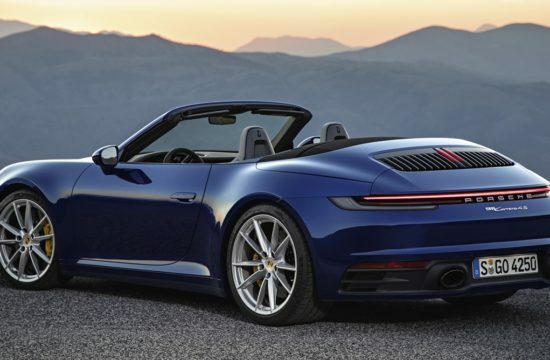 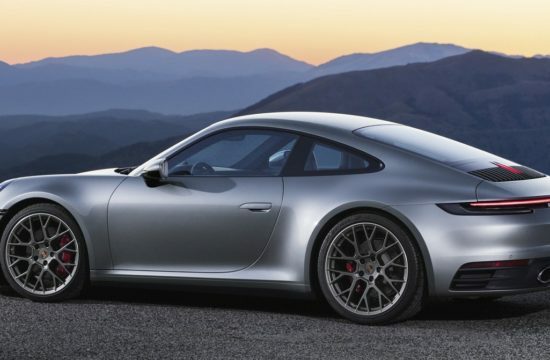 For one thing, they began with the GT4 which is a widely acclaimed track-focused sports car with impeccable credentials. 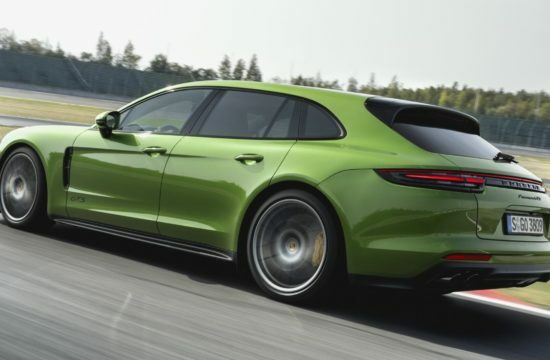 Then they went ahead and fitted that superb V-CS Aero kit and turned into a formidable thing, both on the road and on the race track. 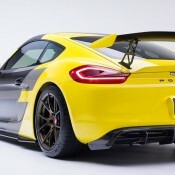 Vorsteiner Porsche Cayman GT4 V-CS Aero enhances the aerodynamic efficiency of this sports car through the use of a number of carefully designed elements. 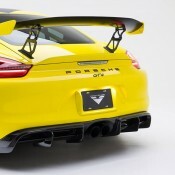 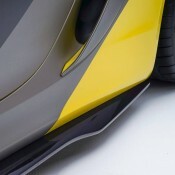 They include a large new front splitter, rear diffuser, side skirts, and aero riser extensions. 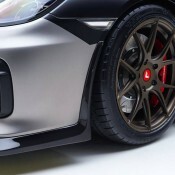 Add to the mix a cool Vorsteiner wrap and a set of their forged wheels, and you have something truly remarkable. 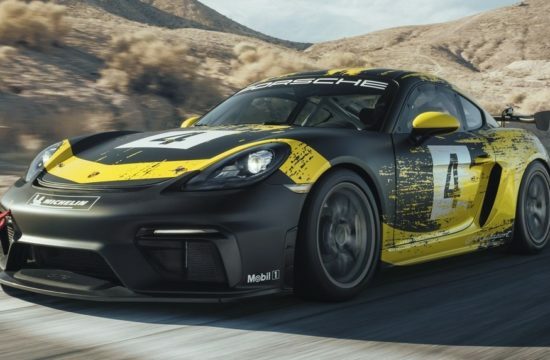 Porsche Cayman GT4 is powered by a 911 Carrera S 3.8 liter engine with 385 horsepower, which is enough for having some serious fun. 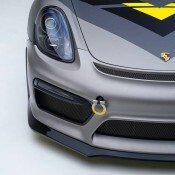 But if you want more, the good news is there are tons of aftermarket mods available for this unit.